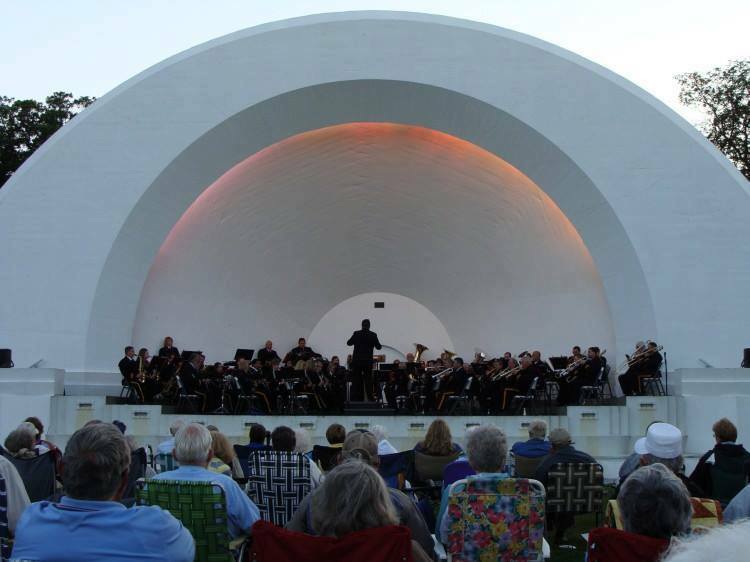 The city of Fort Dodge in central Iowa is one of the strongest in the state. A healthy workforce and vibrant cultural scene are part of the backbone that made this charming enclave such a successful city. But the beating heart of the community is made up of the people who live here. Each one is determined to make Fort Dodge stronger, and they strive to work together in order to make that happen. Fort Dodge has built an impressive school system, one that works together in order to reach a common goal. Dr. Ulrich is the district’s 10th superintendent of Fort Dodge and brings a wealth of experience to the job. He also has longtime ties to central Iowa. He even lived in Fort Dodge while studying at Iowa Central Community College and the Fort Dodge campus of Buena Vista University. Dr. Ulrich isn’t the only educator with strong ties to the community. Mary Gibb is the President of St. Edmond Catholic School, a diocesan preschool – 12th grade Catholic school in Fort Dodge. Gibb has lived in Fort Dodge twice, and loves leading St. Edmond, which strives to provide students with educations as well as core Catholic values. Both Gibb and Dr. Ulrich work hard in order to prepare their students for life after school is over, offering different programs through their schools for students to see what type of life they can lead after high school is over. Mrs. Gibb also helps her students see beyond the walls of St. Edmond and into their futures. St. Edmond offers a job shadow class where students can go out into the community, and partners with the Iowa Central Community College. On top of all that, Gibb will often partner with the public school that is just across the street from St. Edmond, Fort Dodge Senior High. The community also has two other private schools for students to attend. They include Community Christian School and St. Paul Lutheran School. It doesn’t matter what school you attend in Fort Dodge. The education you’ll receive will be in addition to the morals and values that are being taught in every classroom there. The students are encouraged to serve in leadership roles, which will help them once they begin to lead independent lives within the community. Many students leave school with confidence and values that they will then reinvest within Fort Dodge. Another way to tell the strength of a community is to look at how they help those in need. At Community and Family Resources, an independent free-standing substance abuse provider, many of the members of Fort Dodge have been doing just that, since 1968. Community and Family Resources provides drug education and prevention courses to stop problems before they start. They go into the schools in Fort Dodge and speak with students about substance use and gambling disorders, as well as healthy living and communication skills. On top of educating the youth of Fort Dodge, and providing care for those in need, Community and Family Resources works with businesses to provide workforce education. They help businesses put together drug and alcohol policies, and train supervisors on what to look for if someone is struggling with substance use, or a gambling ailment. “In Fort Dodge, there’s a shortage of work force, so our businesses are very interested in retaining their employees. One of those ways is making sure their work environment is safe. And we can help them with that,” said De La Riva. Community and Family Resources helps several Fort Dodge citizens, and they’re about to help even more. They have a new facility set to open in May of 2019 that will be have more beds to help care for those in need. “We think that expansion is really going to assist the community by meeting the needs of those who need a higher level of care,” said De La Riva. The health and education of the citizens of Fort Dodge is important, and so is the health of the animals and pets that live there. Thanks to places like Almost Home, a no kill animal shelter, the cats and dogs of Fort Dodge have been finding loving homes for over 40 years. While it may not seem important to some, Fort Dodge understands the loving energy that these pets can bring to any home and community. 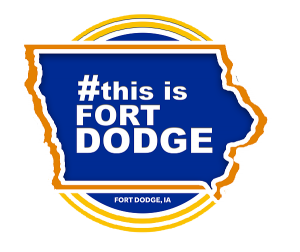 There’s a sense of community in Fort Dodge. It’s very progressive. Almost Home has benefited from their partnership with Nestlé Purina, which is one of the leading employers in Fort Dodge. Nestlé Purina, a well-known company that makes high quality pet care brands like dog and cat food, has partnered with and donated to Almost Home, in many ways. When Almost Home moved to a new location several years ago, it offered Nestlé Purina a new way to partner with the pet shelter. The employees became passionate about putting in a dog park at the shelter. Many of our employees volunteer their time because they’re passionate about rescue animals. “We built the obstacle course at the dog park and helped make it the active dog park that it is today,” said Leiting. 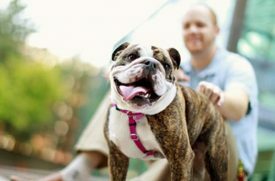 Now, the entire community can take their pets to the robust dog park and enjoy a few hours with their four-legged friends. 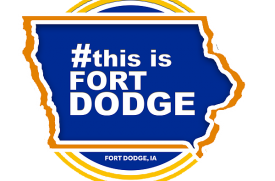 It doesn’t matter what qualities you’re hoping to find in a city: Fort Dodge has them. Thanks to a community that is committed to maintaining the growth of both the city and its citizens, Fort Dodge will continue to prosper greatly as it has done for many years.